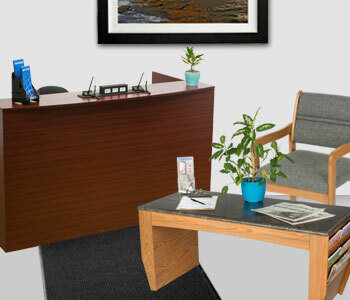 What is a visitor center without proper pamphlet displays and comfortable furniture? 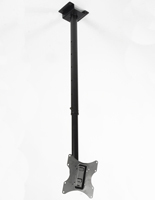 An empty building! 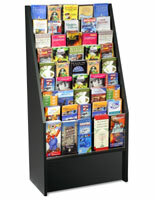 Supply your state or town tourists with our top-of-the line visitor center displays, so they know about all the local sights. 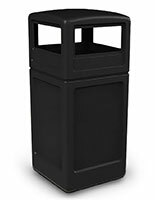 This rest area furniture is great for letting travelers take a break while their family discovers what exciting attractions are close by. 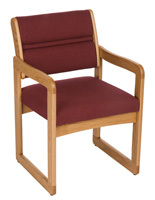 Browse different chair color options and finishes to match any theme or décor, so visitors can relax in style. 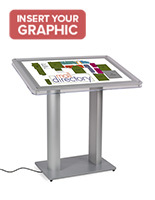 Not only will your rest stop look its best with some of our information center furniture, but you'll also be able to effectively share information about attractions in a professional way with any of our floor standing or wall mounted brochure holders. 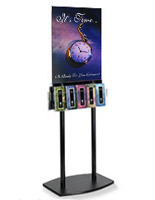 We also provide large wall mounted business card dispensers to advertise any surrounding museums, national & state parks, touring companies, state parks, and other areas of interest. 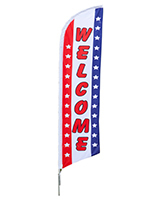 When newcomers take that right turn off the highway into your visitor center, make sure you leave them well informed and excited to see what your city or town has to offer. 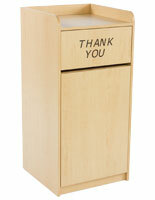 When tourists show up to your information center from a long ride, they usually have a car full of food wrappers and empty beverage bottles that they need to throw out or recycle. 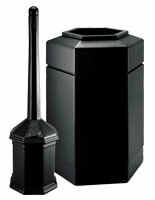 You will want to have plenty of waste receptacles when they arrive. 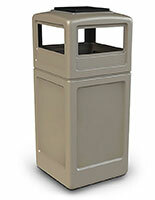 View our line of outdoor / indoor trash cans and recycling bins made of metal or plastic to withstand a variety of outdoor conditions. 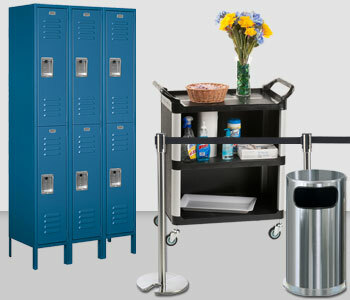 You will want to keep your visitor establishment stocked with the best supplies outdoors as well as indoors. 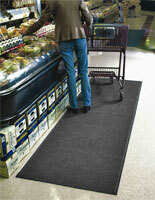 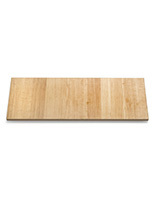 In that regard, we also offer anti-fatigue floor mats that can withstand high amounts of traffic. 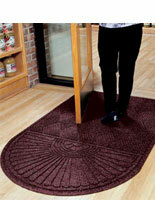 The custom rugs are available with 25 different color options and can be steam cleaned again and again without fading. 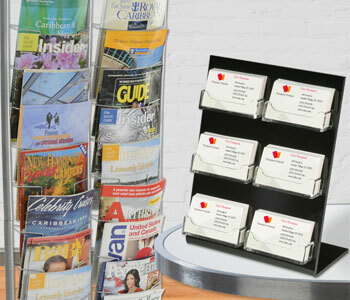 After the travelers have freshened up, they may venture over to your brochure holder racks to see what entertaining events and attractions are available in the area. 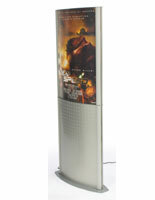 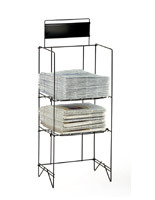 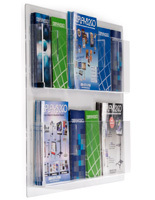 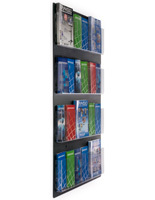 The literature racks come in many forms from wall mounted or floor standing to spinner racks and brochure stands with poster frames. 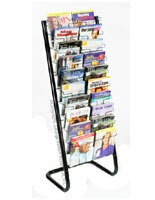 Displays2go also sells a variety of magazine racks, which are perfect for local periodicals that show, for example, top 10 best restaurants in the state or 8 top national parks to hike. 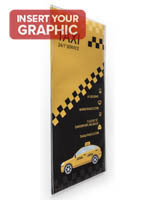 Brochure holders make great map holders as well. 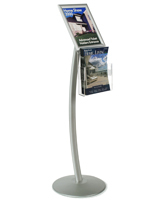 Why not motivate your visitors to see new sites by sharing trail maps of the local national parks or by handing out booklets to describe each trail terrain or the difficulty level of the hike. 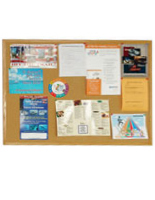 Whether you operate a city visitation center or a famous historical attraction, a main component of a tourist stop is the information provided about the surrounding area. 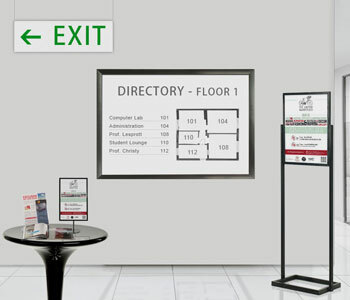 Large wall mounted visitor center signs with maps and local information always grabs the interest of new arrivals. 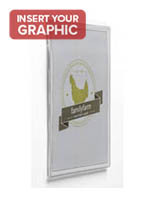 One great way to show an aerial view of the surrounding area is to place an enlarged image between two acrylic plates and using sign mounting standoffs, displaying the photo for everyone to easily have a birds-eye view. 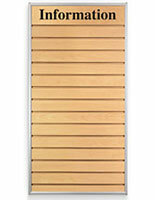 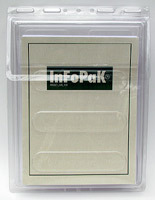 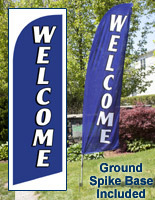 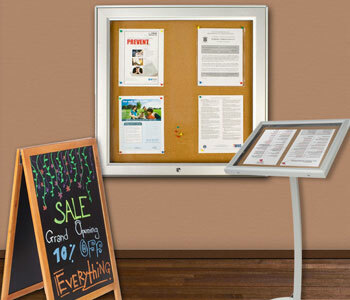 Using locking standoffs for your information center signs is a perfect way to tamperproof your informational signs. 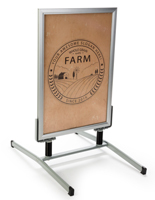 Slideshows are also popular for showing amazing images and video of the area’s history, famous local events, and just amazing views the town. 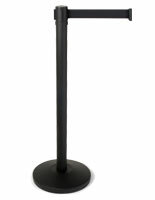 If your city tourist center has a receptionist or security guard, check out our professional line of cash wraps and reception desks. 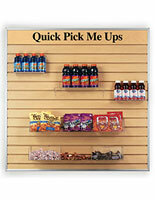 These working areas have plenty of space for security system monitors and other important equipment. 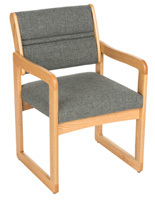 As stated earlier, we also offer chairs for your visitor center lobby, to let your visitors congregate and make plans on which amusement park or national forest to visit. 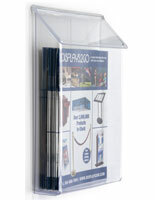 If your information center collects donations, feel free to try out our large line of donation boxes and floor standing sign frames with contribution boxes attached. 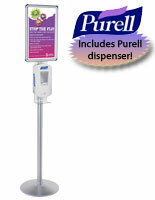 The most important key to running a successful; rest stop is to keep everything interactive. 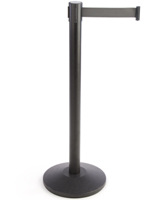 Whether it’s showing digital walking trail maps or directions to the closest museums, make the information simple to understand and easy to access. 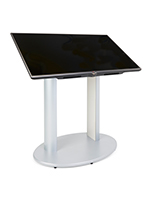 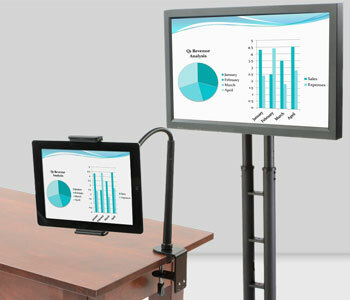 Displays2go has digital displays that really keep the newcomers involved by showing slideshows, new tickers, weather and live television. 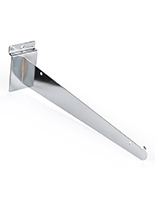 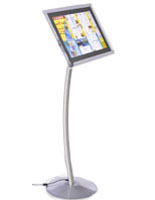 We also offer floor standing and wall mount TV brackets so that your visitors can see and read everything clearly and move onto the next information display. 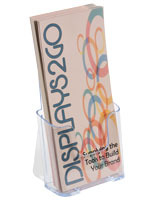 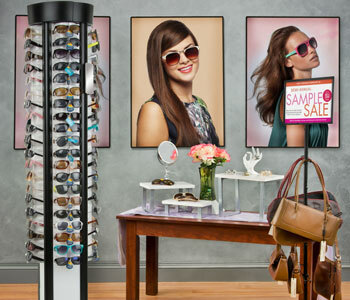 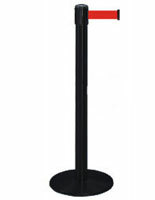 There is no reason to purchase your tourist stop fixtures from anywhere but Displays2go. 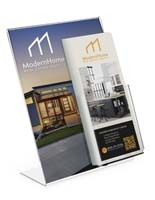 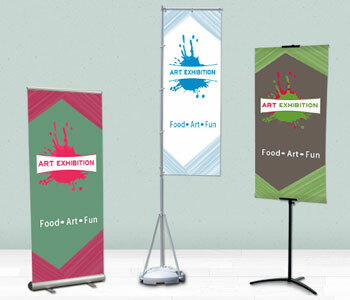 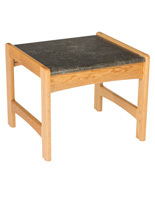 We are the leading distributor for brochure and business card holders, commercial site furnishings and informational displays online. 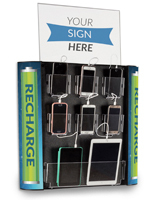 For more information on custom graphics and our wide variety of display products, visit our site or call our product inquiries group today!